1Heat oil in a pan crackle mustard seeds,add channa dal,broken cahewnuts,curry leaves. 2.Add the rawa and roast on a medium flame. 3.Roast stirring continously till the colour starts to change. 4.Allow it to cool.Add salt,chopped green chilli,shredded ginger,chopped coriander leaves and curds. 5.Mix well and keep it aside for twenty minutes. 6.Add Eno fruit salt and add some more water if required.you can see bubbles in the mix. 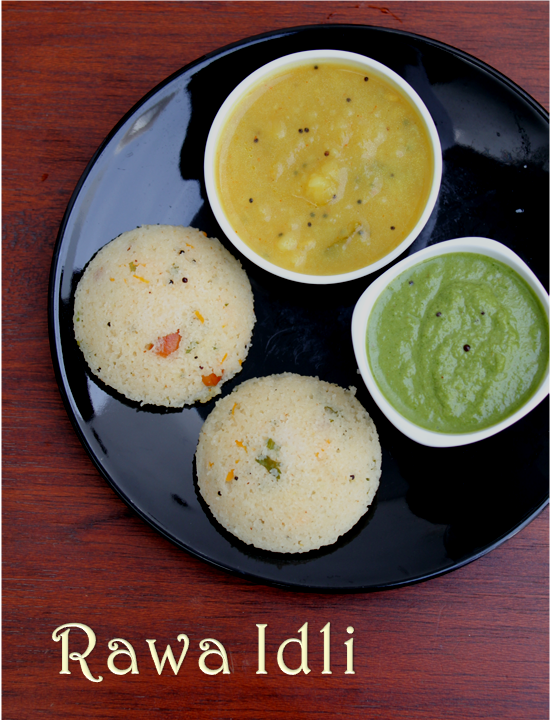 7.Get the steamer ready before you put the eno fruit salt.Pour it immediately on greased idli plates. 8.Cover and steam it for 10-15 minutes. 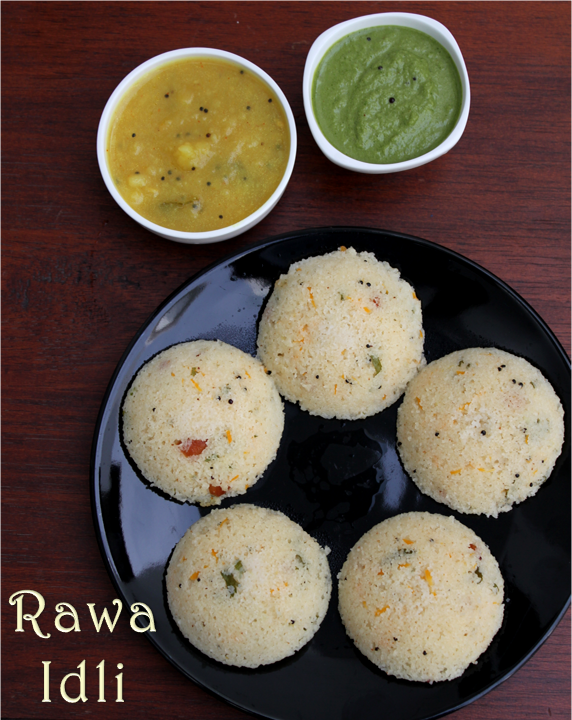 9.Remove from the steamer and wait for few minutes.Remove the idlis from the idli plate. 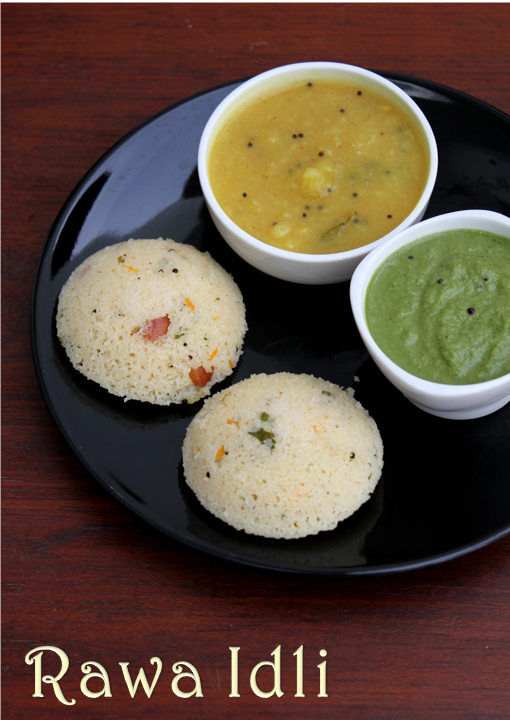 Enjoy the hot idlis with some Sagu and corinder and coconut chutney! Use sour curds if you like the taste. You can place fried cashew nuts and shredded carrot on the idli plate and pour the dough over it.You will get nice decorated idlis when you take out. Do not leave the dough very long after you add eno fruit salt.If you are doing large quantities make in batches. Looks delicious .Nice blog. Congarts on being featured. tried ur paneer tikka was amazing will try rawa idli whichlooks delicious soon. thanks for such simple and amazing recepies.